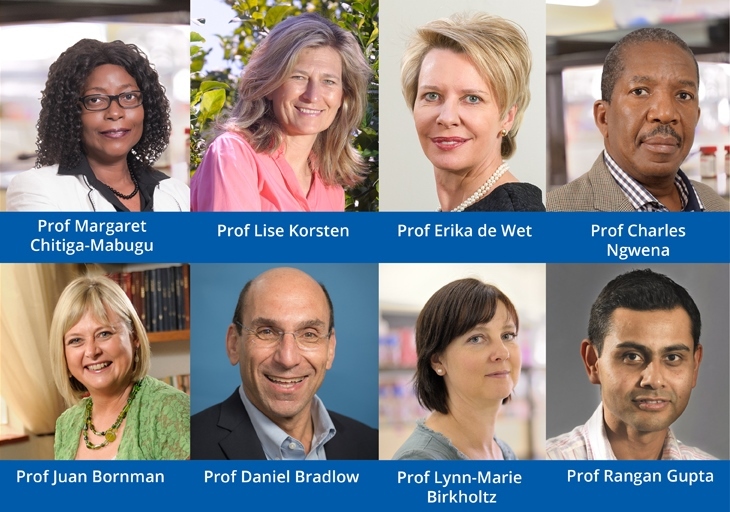 Eight academics from the University of Pretoria (UP) are among 20 of the country’s leading scholars and scientists recently inaugurated as members of the Academy of Science of South Africa (ASSAf). ASSAf was formed in response to the need for an academy of science in keeping with South Africa’s democracy. Its objective is to use science for the benefit of society, while also recognising and rewarding excellence and the promotion of innovation and scholarly activity. Prof Juan Bornman, Professor and Director of the Centre for Augmentative and Alternative Communication, whose research focuses on augmentative and alternative communication and severe disability. She has a special interest in the development of a functional approach towards disability and communication rehabilitation within a positivist, asset-based framework, particularly in the context of a developing country. Prof Lise Korsten, Co-Director of the Department of Science and Technology (DST) Centre of Excellence in Food Security. She is also Head of Plant Pathology in the Department of Plant and Soil Science, and has been active in the field of fresh produce quality and safety. Her lifetime contribution impacts on commercial farming and, more recently, the informal markets, with the objective of reducing waste and losses and secure food safety. Prof Charles Ngwena, Professor at the Centre for Human Rights, Faculty of Law, who has established a reputation as an internationally recognised scholar on the themes of disability and sexual and reproductive rights. He is also a scholar of importance on issues of race and identity. Prof Rangan Gupta, Professor at the Department of Economics, who has over 400 peer-reviewed articles in well-recognised domestic and international journals. As of September 2018, he was ranked fifth among the Top Young Economists in the World by IDEAS. Prof Lynn-Marie Birkholtz, Professor in Biochemistry and Director of the DST/ NRF/ SARChI Chair in Sustainable Malaria Control. She leads malaria parasite research within the UP Institute for Sustainable Malaria Control. Her research contributes to malaria elimination in South Africa by using systems biology to incite drug discovery towards blocking malaria transmission. As a newly elected member of the Academy of Science of South Africa, she said her research resonates with “the objectives to inspire, promote and recognise excellence in scientific practice, to remove barriers in sharing scientific knowledge, and promote a culture of science in the population at large”.